Renowned for unique style and superior quality, this set gives beautiful service that lasts for generations. 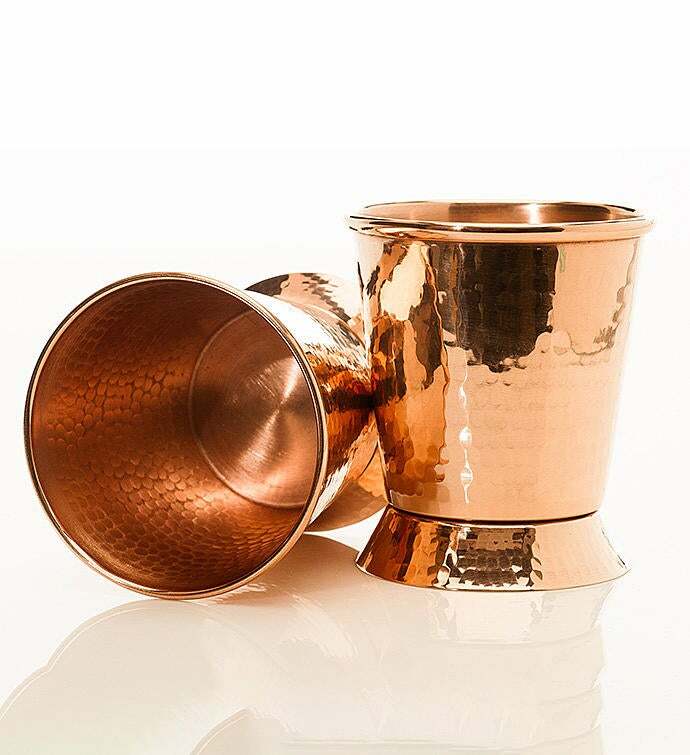 A beautiful hammered copper twist on your classic libation. 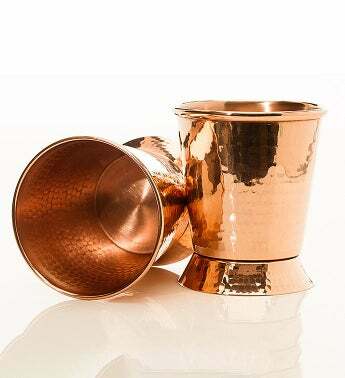 Featuring classic style for a classic drink, our hand hammered copper Mint Julep cups will grace the hand and disposition of the dearest Southern Belle or refined Gentleman.